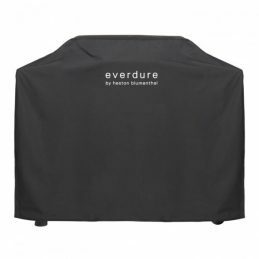 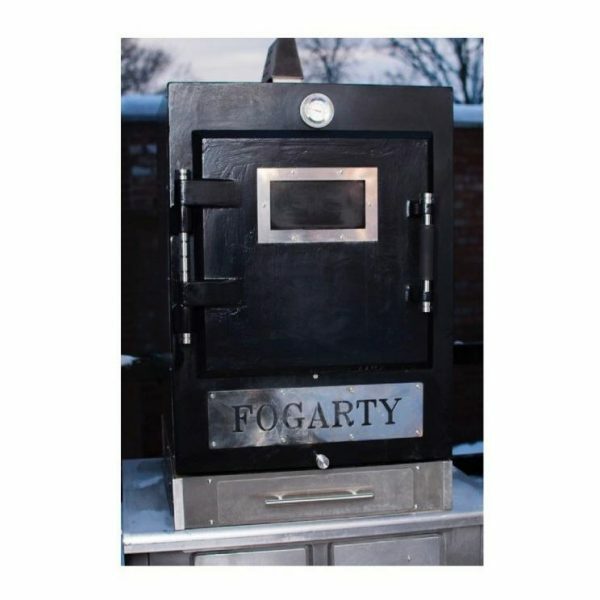 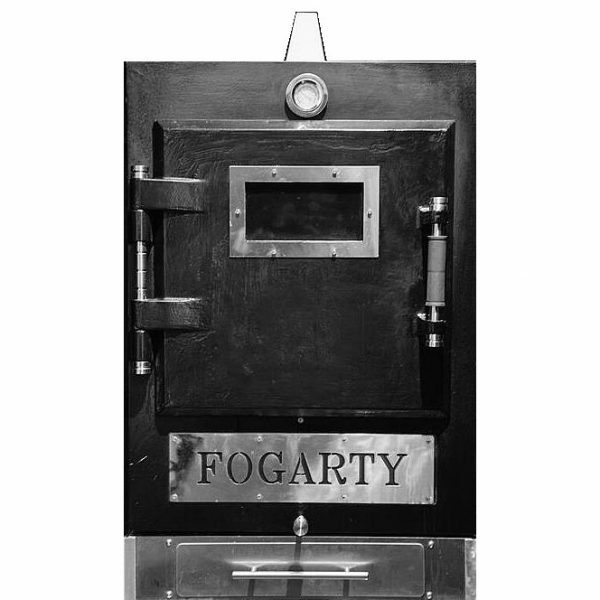 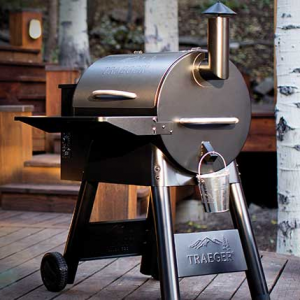 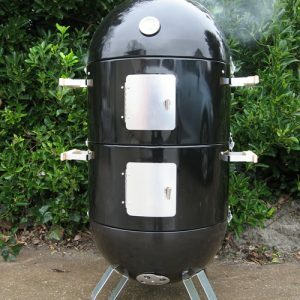 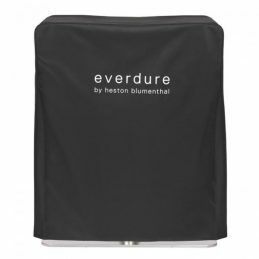 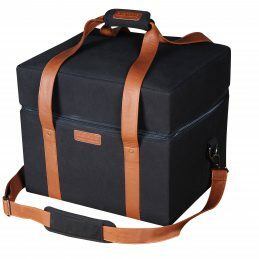 The Fogarty Charcoal Oven is Tough Durable and Reliable as well as Sleek Versatile Flexible and Resilient. 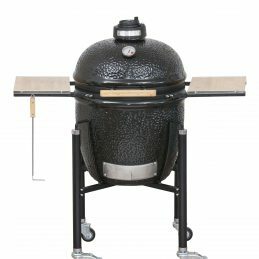 Designed in London and expertly hand made in Staffordshire with all materials sourced in the U.K.
Has a cast iron door and frame with thick chamber walls along with a high grade stainless steel ceiling and outer casing with polished stainless steel hinge bar and handle with a heat resistant glass look through which means originality as there’s no other like it on the market. 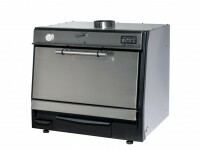 The simple air vent control system also means ease of use as well as the smooth push pull door opening system to allow for a quick access during a busy service, the spark arrester on the top of the oven releases smoke at a steady pace meaning you can use under most extraction canopies, along with the unique look comes the dynamic chamber that has a large cooking capacity with up to 12 different grill rack positions for multiple food types and various cooking timings. 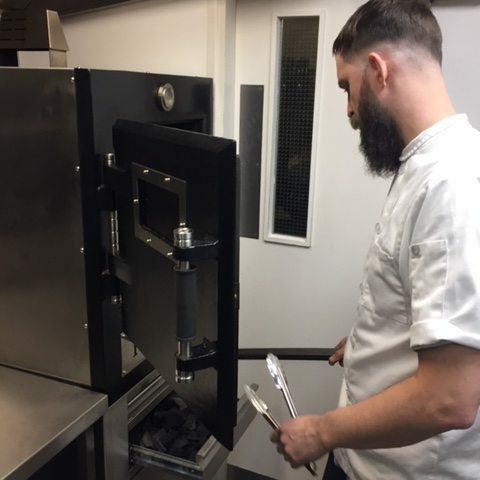 There is a temperature gauge up to 500°C fitted to the frame above the door meaning you will always get a true reading of the oven temperature even when the door is open unlike some grills/ovens that have the gauge attached to the door. 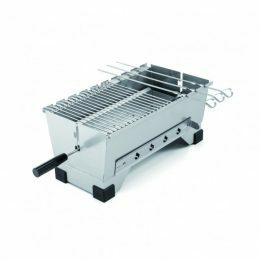 Dimensions of 600 mm width 850 mm height and 650 mm depth means it can fit in any space and there is an option of a stainless steel trolley on lockable castors for easy manoeuvre around the kitchen if needed,the oven is easy to maintain and clean and comes in a range of colours and you also have a choice of a smooth modern glossy finish or rough rustic finish to suit or match your kitchen style or front of house decor or colour scheme. 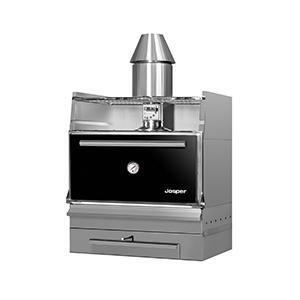 The Fogarty Charcoal Oven is ultimately aimed at the professional kitchen but can also be used outdoors. 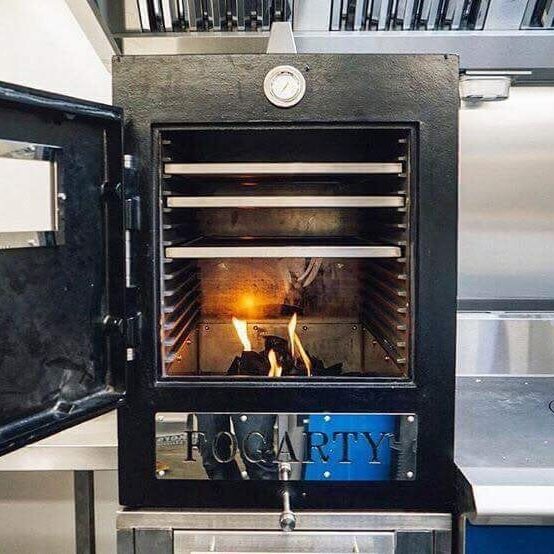 We strongly recommend you book a free demo to see what the Fogarty Charcoal Oven can really do as there’s no limits to what it can do with all types of food. 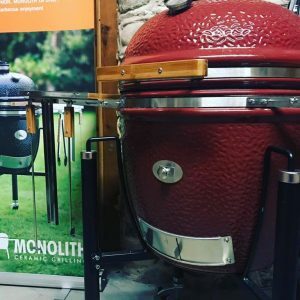 You need this in your kitchen and when you see it in all its glory You will want this in your kitchen. 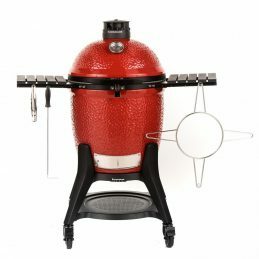 The M*BC model features a warming/resting rack above the main cooking chamber. 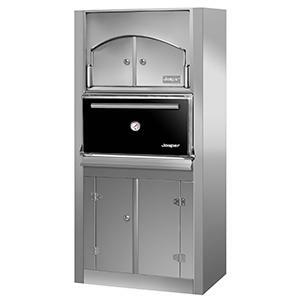 Like all Josper ovens this range is available in 3 different sizes and each grill features 2 cooking racks for maximum output.